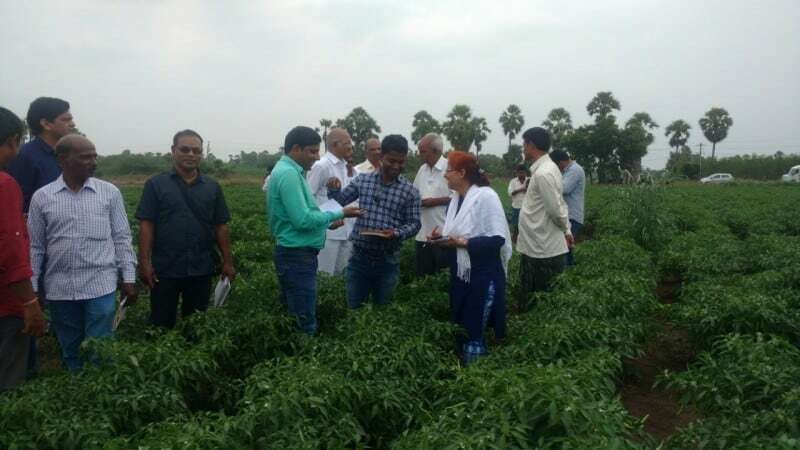 WorldVeg South Asia staff Devender Pal Kaur, Ramashray Dubey and Souradeep Acharjee discovered first-hand the complexities of the chili value chain during a study trip from 13-14 November 2017 in Andhra Pradesh, India. Their journey began with a visit to the Sri Veeranjaneya Chilies and Vegetable Nursery in Bobbepalli village, Marturu Manda, Prakasham District, where they saw an automatic seeder machine capable of filling 600 nursery trays per hour with a planting medium consisting of decomposed cocopeat with 5-10% vermicompost, 5% neem cake and Pseudomonas. 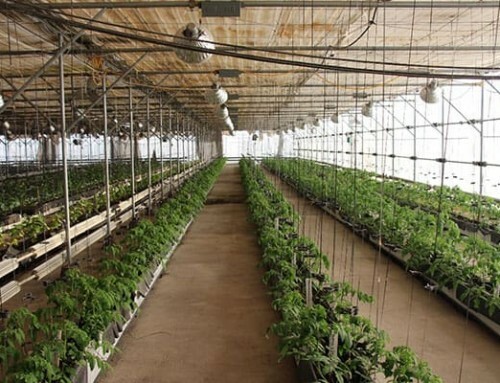 Chili seedlings are produced in trays in 40-mesh nethouses, with a 50% subsidy from the state government. Chili producers in the region must contend with damping off and root rot. Major pests include leaf curl virus, whitefly, thrips, jassids, fruit borers, and mites. Trap crops including maize and marigold are planted in the open field, and yellow and blue sticky traps (using 20-30 cards per acre) help to keep sucking pests under control. 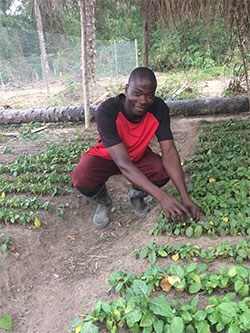 The farmers follow a chili – cotton rotation, and most use drip irrigation systems. Green chilies account for about 80% of production, with dry red chilies making up the remaining 20%. At Annadata Cold Storage, a solar-powered facility in Prakasham district, farmers can store their dry red chili in 40-kg bags at 151 INR per bag per year. Each farmer has a specific lot and registration number. The temperature of the storage room is maintained at 8°C, and the facility has a capacity of 82,000 bags. At the Guntur Container Terminal, farmers export their chilies through the Inland Container Depot, a private corporation that brings importers and exporters together under one roof. Exports to China, Vietnam, Malaysia, and Indonesia can bring good prices, provided the farmers meet specific requirements for size, shape, color, texture, and pungency. Producers need plant quarantine certificates and clearance from the Spice Board to send chilies for export. 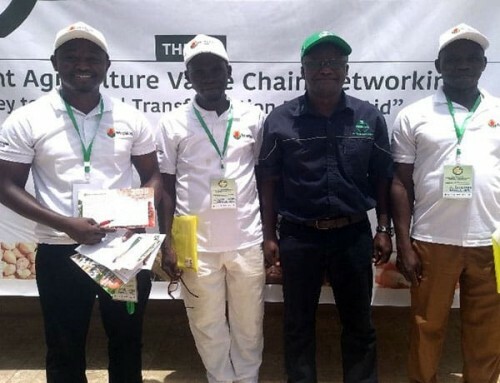 The board has developed an online application where buyers and sellers can register and trade in a transparent way, which promotes a more professional approach to production among growers. On 14 November the WorldVeg team visited the Guntur Chili Market—the largest such market in Asia. More than 660 commission agents, 440 exporters, 552 traders, 350 employees and 10,000 farmers engage in chili trading activities at Guntur. 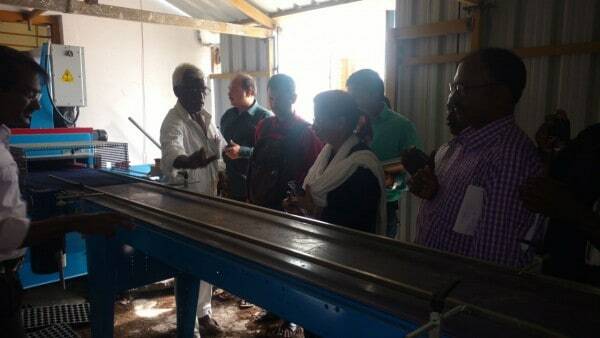 Chili processing is a big business as well in Guntur as well; during a visit to Eastern Condiments Pvt. 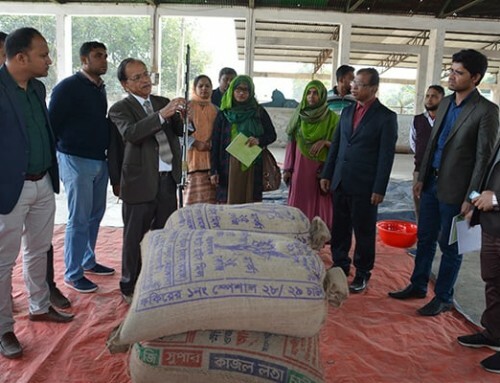 Ltd., a spice manufacturing company, the team saw how dry powdered chilies of different colors and pungency are combined into various spice blends. 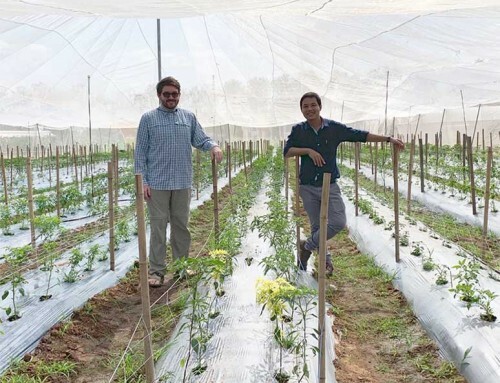 The final stop was Anantavarpadu village, where model farmer and Indian Council of Agricultural Research awardee Bhandar Srinivash Rao has been cultivating chili organically for the past 10 years. 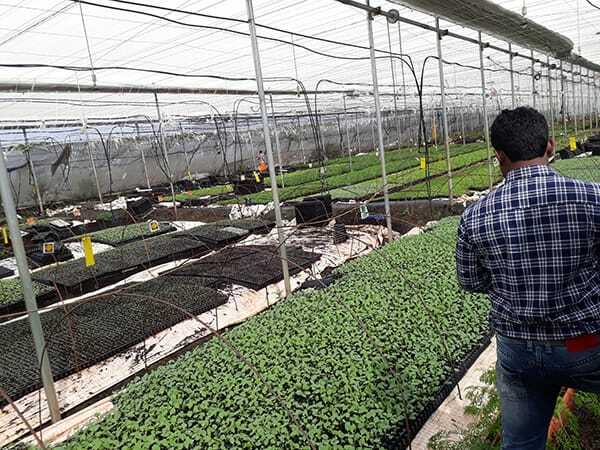 Mr. Rao relies on vermicompost and green manures to enrich his soil, and controls pests and diseases with neem oil extract, neem kernel extract, pongamia leaf extract, and moringa leaf extract.